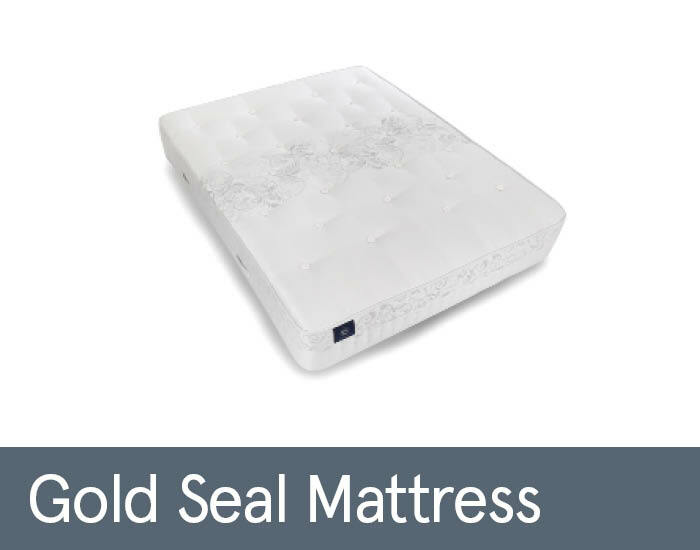 The Gold Seal mattress is the top bar one model from the Slumberland Vintage Seal Collection. This mattress boasts 2200 Pocket springs and the latest Gel Latex filling technology combined with wool, Tencel silk, bamboo and Alpaca layers which guarantees to deliver the best night’s sleep. Range is available in single, double, king and super king size.